While most of us prefer turkey for our holiday feasts (devout turkey lovers having it for both Thanksgiving and Christmas), goose has been the traditional dish of winter holidays for centuries. 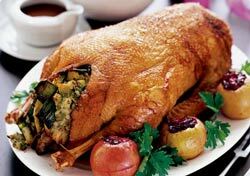 In the Middle Ages roast goose was used to celebrate the winter solstice. Norse tribes would offer up goose to Odin and Thor in thanks for the harvest. 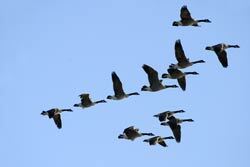 In ancient Greece goose was eaten in a ritual to insure the crops for months to come. For many generations of Eastern European Jews, goose was a favorite during the Hanukah holiday. Eventually, in Victorian times, it became synonymous with Christmas a la the Cratchit’s bird of choice in Charles Dickens’ A Christmas Carol where Scrooge learns the values of kindness and community. The holiday season is generally a time of coming together and connecting with your family and friends. That could mean the family you’re born into, or it could be the family you “adopt” when they aren’t available. Having them around us for the holidays gives us the same type of lift. Similarly, your business benefits from the natural “lifting power” from your interdependence with others. I like to think that the natural “lifting power” of the goose can be done legally with a Power of Attorney. General Power of Attorney covers all activities and is very broad. 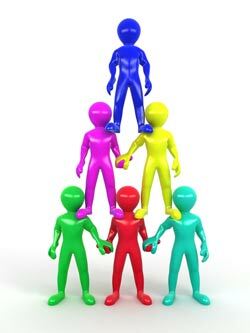 I know it seems counterintuitive to my control freak clients, but it is a GOOD THING to have a general and broad power. The power of the agent goes into effect immediately and ends when the principal (you) die or become incapacitated. Special Power of Attorney usually grants broad powers only for a specific matter, like buying and selling a parcel of land or executing a particular financial transaction or for a certain period of time. Durable Power of Attorney is the most popular choice as it allows the signer (you) to delegate powers to his/her agent even if the signer becomes incapacitated. It can be “immediate” (self explanatory) or “springing” (meaning the agent’s powers only “spring forth” upon the happening of an event). Durable Power of Attorney for Healthcare allows your agent to make healthcare decisions for you. This is different from a living will or an advance care directive, which is a document outlining your medical wishes but does not allow your agent to make medical decisions for you. 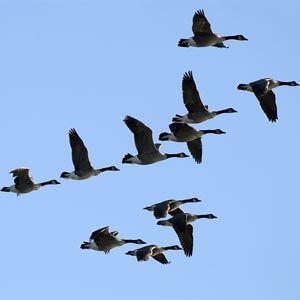 Whether you like to envision your geese flying in formation or resting on your dinner table, the image of being surrounded and supported is like the power of attorney. It provides you the support and peace of mind that in case something happens to you. This type of support is also helpful even when you don’t need it: Sharing the same sense of direction literally can be “uplifting” and make your business grow. Don’t go it alone. Let us help you. Where to download a free Texas Durable Power of Attorney. How failing to complete the new form correctly may mean your agent may not have authority to act. How the new form could actually increase your chances of fraud. Click here to contact us today to register for this free seminar. You can make it your first, and easiest to keep, New Year’s resolution.